Photo by Jason Thompson Photography. As TTC Chair, Vice-Chair of the Works Committee, and Ward 18 Councillor—among an ocean of other positions that he holds now or has once held—Adam Giambrone’s influence spreads far across the city of Toronto and to some of its most contested issues: transit, the environment, and development, to name a few. Depending on who you ask, he is either the city’s best archaeologist-turned-politician or its worst. His term as Ward 18 Councillor has seen its share of controversial decisions that have spawned highly-visible public backlash, most recently the narrowing of Lansdowne Avenue. The excitement and optimism that greeted him upon his promotion to the TTC’s top position last winter, has also been substantially dampened recently by the organization’s budget shortfall. Nonetheless, Giambrone is very much well-liked. Extraordinarily ambitious, the changes he has slated for the TTC would completely transform Toronto transportation as we know it. As the youngest city councillor, he is also hip to what a lot of other politicians aren’t, going so far as to listen to local blogs and their readers (Torontoist included) for suggestions on how to improve the TTC’s website. And, at 659 and counting, he probably has more Facebook friends than you, too. Torontoist met with Giambrone in his office in City Hall last week to talk all about the greening of the city and its implications for transit and streets like Lansdowne, as well as Toronto’s financial woes—and its future as a Transit City in spite of them. 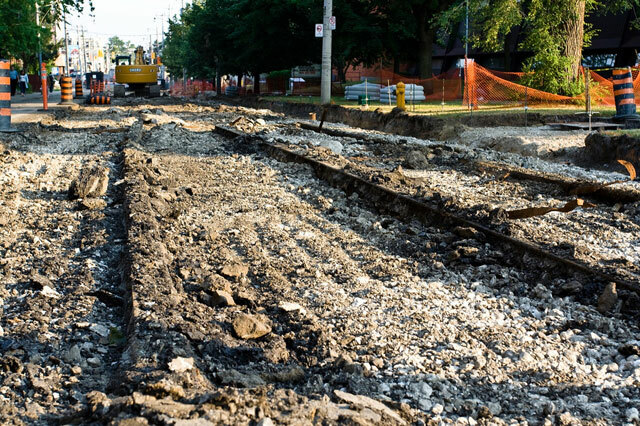 Torontoist: Why did you end up choosing politics over archeology? Adam Giambrone: My first career was as an archaeologist: I worked at the Royal Ontario Museum in their education department and as part of their overseas teams in places like Yemen and Sudan. [I’ve] also [worked] with other teams from other institutions; so in Libya, I’ve worked with the British Museum; I’ve worked with the University of Manitoba in Tunisia. So I had an opportunity to do quite a bit. I’d always been involved in politics since high school—I did things like model parliament, I was involved in the youth wing of the New Democrats—and I did student politics at McGill. For me there was always an interest there going back to my teens. I was able for a long time to do both [archeology and politics]….Once I ran [municipally in 2000], I lost the first time, so I could continue to do archeology. I got, I think, either 34, 35 or 36 percent; I did well, but I didn’t win. So at that point I went back to doing archeology, doing some work at the museum, as well as some other contract stuff. But when I was elected in 2003, obviously I had to do this full-time. I continue to do archeology in a limited regard. I was in Sudan working the day after the last election; I learned that I became TTC chair while in Sudan. I used to go for three or four months, today I go for two and a half weeks. So it’s a big difference, but I still keep my hand in it and am still active in archeology. I have thirty-five years before I can collect Canada Pension, so the options are open for me to leave politics if I wanted to at some point in the future and go into archeology. Let’s say I spend another ten years [as a politician]—if people continue to re-elect me—I then go back and do fifteen years as an archaeologist, a pretty long period…and then I decide, hypothetically (and I hypothetically get elected), I could still come back for ten or fifteen years. I’ve only been elected for four. So that’s really how I look at it: I still keep my hand in it, I could go back to it, and I still enjoy it. What attracted you to politics, then? There’s a couple of things that made politics interesting when I first got into it. First of all, you look around and there are things you want to accomplish, or change. There’s different ways of doing that in life. One of the ways is through government. I happen to believe that the government has a big role to play in shaping how the city evolves, how the province should evolve. There are problems that I see out there, and they have everything to do with the TTC not having an adequate enough system to provide for what we need. We could talk about a lack of affordable day-care, there are issues around the environment that are very important, there’s a need for us to deal with social equity…so there’s a whole host of things. My mind is that the best way, despite people’s criticisms, is to deal with it through government programs. When you’re talking about all of Canada, hundreds of billions of dollars worth of government spending [being] properly allocated and spent really can make a difference in people’s lives. And you see the opposite during the Mike Harris years, of what happens when there’s a cutback in government programs: people suffer. So for me, it was about being active in government to make change. Also, on a personal note, it’s interesting; you get to be engaged in things that are happening around you; you’ll learn things, like being at university; [and] it’s a challenge; and you get to meet people. 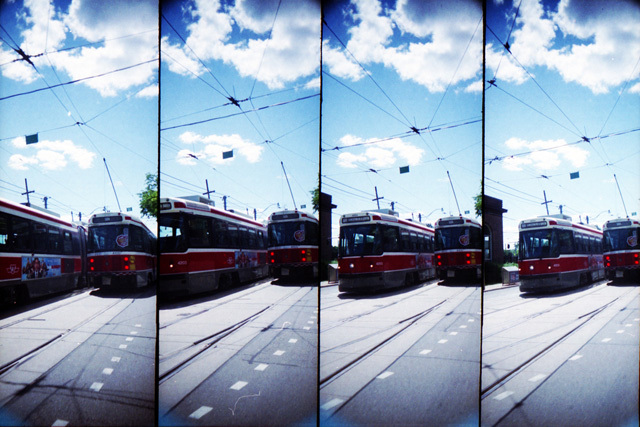 Top photo by funkaoshi, bottom photo by gbalogh, both from the Torontoist Flickr Pool. Is there ever a conflict between the major roles that you have, or do they help each other out? The major roles that I see for myself at the city right now are, obviously, as the Chair of the Toronto Transit Commission; as the Vice-Chair of Public Works, which, if you’ll look at what’s going on in the city and the discussions around cycling and garbage, is under our portfolio. There’s water issues and how we deal with our water infrastructure, and then there’s transportation outside of the TTC. In addition to that we deal with things like Francophone Affairs for the city. There’s a lot of work in various committees like any councillor would have, and then of course, the job as my local councillor, being responsive to community, individuals who have problems, as well as ward-wide problems. So it’s a lot. I have a high energy level. It helps a lot to have a high energy level, but it also allows me [to] shift between subjects. I mean, I often look at our schedule, and [we’ll go from] a meeting about a project in the ward to a works meeting to a TTC meeting to a meeting with the Quebec office here in Toronto. So we’re switching around. I just got off the phone about a deportation within the Sudanese community, and I’m very active [in it], I speak Arabic. And so a letter is being written as we speak by this office around the deportation coming up on August 13. So we shift gears, and it’s about time management and prioritization. Sometimes the TTC jumps ahead temporarily on the ward issues, and sometimes vice-versa. It’s a management of issues, a management of time, and a management of priorities. What would you say, then, are some of your largest priorities across [those roles]? The priorities within the TTC are things like building Transit City, adding service—we don’t have enough service out there today, we know that. The fact that we didn’t get the [land transfer tax and the vehicle registration tax] in yet, and that’s very important, hopefully we’ll get them in in October, has meant that we push off—not eliminate, but push off—the improvements to January. If we get the taxes in, we’re able to move forward [with things like] better customer service, we’re buying new streetcars, there’s renovations to our stations that are starting. There’s a lot going on about the renewal of the system and the expansion of the system at TTC. Locally, there are huge lists of projects from individual greening projects on streets to concerns about traffic at another one, [and] there are lots of local issues: the Dufferin Street Jog Elimination project is a big one, there’s the development issues around West Queen West which are very high-profile and important because they really affect the artistic community in the city. 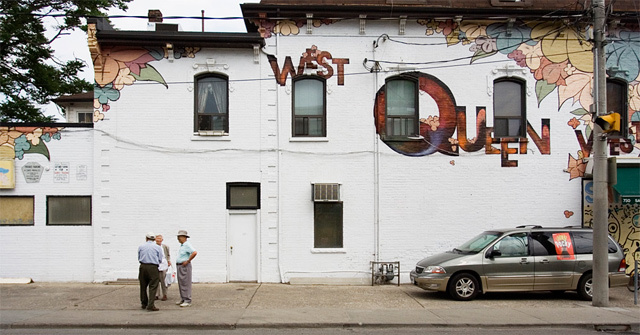 It’s not just about West Queen West, it’s about how the city deals with the protection of neighbourhoods and the protection of employment districts, and how we deal with the creative sector in the city. It goes much bigger than just Ward 18. And then you look at the Works portfolio and the issues that have come forward: the new garbage bins that are coming out, the garbage packs, if you will, which will allow us to do what we want to do in terms of increasing recycling; how you increase recycling, so we’re building source-separated facilities right now, plants, we’re building garbage separating facilities, we bought a landfill, we’re adding new products to the blue box, the new blue boxes are coming, [and there will be] bigger green bins. There’s a lot happening in Works that doesn’t even deal with our biosolids plan…we’ve got to figure out what we do with the rest of our biosolids so that we have 100% beneficial use so we don’t landfill it. That’s in our water infrastructure and how we build that out. Transportation: today we’re talking about making sure our bridges are safe. The CBC questioned that because of the issues in Quebec and, most recently, in the United States. So there’s a lot of those continued issues….The list could go on; those are only a part of the major files, there’s a lot of different things that come up. Has your young age helped or hindered you? Or do you think it just doesn’t matter? When I was first elected, I think a natural inclination would be to be surprised or to question myself as a councillor. I’d had other roles and leadership roles that were surprising for my age at the time. I’ve led teams around the world, I’ve done stuff on the federal level and now municipally. I think there’s no question that some people would see it as a disadvantage, or as a negative; I think there’s also a whole group of people who see it as a positive; and then probably the majority of people who just don’t care or for whom it doesn’t seem to matter. I think I’ve been able to prove myself to be effective: I served as the vice-chair of both Works and the TTC, I’m now the chair of TTC and continued vice-chair of Works, so clearly there’s some level of confidence there, because it’s not just the Mayor but other commissioners [that] have to elect me. I’m not appointed as chair of the TTC, I’m elected as chair, and so far it hasn’t really been an issue. A topic of conversation, absolutely, but not necessarily an issue in how I do my job. Top photo by Herb Vanden Dool, courtesy of I Bike T.O. Bottom photo, of an under-construction Lansdowne Avenue, by funkaoshi. Was it a fifty-fifty split? No, I think it was bigger [on the no’s]…keep in mind that it would have been seven months after [I went door-to-door] that they would have done that. Did I talk to everyone at the door? No; there are 190 [homes], there are multiple apartments, so you’re probably talking about 600 households. At most I would have probably talked to a sixth…but no survey reaches everyone; it’s an indication. But interestingly, the second part of that [report asked] “did he talk specifically about Lansdowne?” because I could have come to your house and said “Hi, I’m councillor Adam Giambrone, how’s it going?” And you could have maybe talked to me about Lansdowne, or about the garbage problem in your laneway. And interestingly, a lot of people said “yes,” [other] people said “no.” [As to the] discussion of “did the councillor come to the door,” clearly I did. Did I reach everyone? No. Were there public meetings? I think if you actually ask [the protestors] they admit that there were, but they say is that there weren’t enough public meetings. There’s been now three public meetings that have occurred. Have residents been listened to? Absolutely. In the case of the trees [as was Ken Wood’s complaint], many of the trees have been saved, the plan was altered to work with residents to deal with that. Fundamentally, this comes down to a case where people are unhappy with what is going on. Their positions have been listened to, we’ve made changes where we could, we dealt with individual cases, but it’s one of those difficult situations. We saw the same thing on Dundas East with the bike lanes where we’re putting in [new ones]. You’ve got very difficult decisions here in the city: if you want to achieve city objectives, i.e. increasing the width of sidewalks, because [Lansdowne’s] were substandard, smaller than normal; if you want to put [in] bike lanes. We talk about doubling the tree count—not 10% more, not 20%…doubling. If you’re going to double the tree count you can’t just plant them in parks and ravines, you have to make tough decisions like this. Those factors combined with the fact that the parking issue wasn’t as big of a concern—they had over 200 spots for something like 100 permits, so even after this, there remains 40% more spots than there are parking permits. Does that mean there is less parking than there was before the narrowing? Yes—but it’s a balance here. And so, people have a right to object to how the city is doing things, but on a major street like Lansdowne, imagine the converse—[if] only people on that block get to decide. Well, hold on a second: does that mean that on Bloor Street, between, say, Bathurst and Spadina in the Annex, if all the residents get together and they say, “we’d like to close Bloor Street permanently” [and] everybody agrees, are we as a city prepared to do that? I don’t know. Interesting pedestrianization of Bloor Street, and I’m sure there’d be people who’d be very excited abut that, but I’m not sure that it’s only up to them to decide on a major street, and Lansdowne is a major street. So we have to make some tough decisions. The whole issue about Dundas, over out in Etobicoke with [Councillor] Peter Milczyn [and bike lanes on Kipling]…these are really just the beginning. We have made all the easy choices. We’ve put trees or we are going to put trees in the easy locations. Why not put them there? There’s grass; we’ll put a tree. We put the bike lanes in the easy parts. Now we have difficult decisions to make, and Lansdowne is going to be symptomatic—if we say we’re going to complete the bike plan by 2012, which the mayor has reiterated, it’s happening. If you look at community council there are more bike lanes coming than have happened over the last couple of years. If that’s going to happen, you’re going to see a lot more fights like Lansdowne, which are going to be fundamental fights: room for cars and parking versus room for bikes…let alone the trees, which is a whole other issue. One of the areas which is neglected in Lansdowne is there are a lot of residents who support [the narrowing]. I think a valid criticism for supporters [to make] would be that we did not mobilize the supporters. 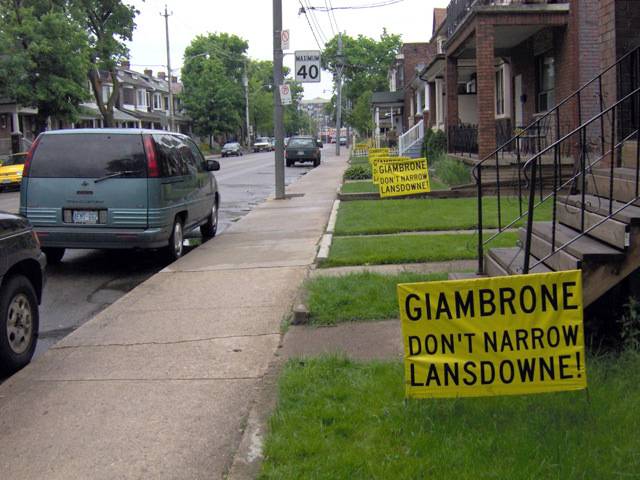 So if you look at the protests that occurred, there are pictures and there are people who are out there with signs [saying] “Yes, narrow Lansdowne.” Now, they were outnumbered by “Don’t Narrow Lansdowne,” but there are people there who very strongly support the narrowing. Maybe it wasn’t fifty-fifty—at this point there’s been so much negative campaigning that it’s probably tipped the balance into 50% or more [that] don’t like—but at the beginning it wasn’t that way. Had we to do it over again, we would have invested a lot more time in taking the supporters of it and helping them make sure that their voices were heard as strongly as the anti-narrowing voices. On the street itself, there was that sea of posters that said “Giambrone Don’t Narrow Lansdowne,” but they weren’t at every single house…they were at every second or third house. But everyone who was against it had a sign, and everyone who was for it didn’t. A lot of those houses are apartments, so I think it’s safe to say—and this is what I found when I went door-to-door—that there was a group of people who didn’t like it, there was a group of people who did like it, and then there’s a whole bunch of people who [it didn’t affect]. A lot of people in the city don’t own cars, and [those that] don’t own cars or [who do] have a garage are less likely to have as strong opinion about the parking because it doesn’t affect them. People say “but they don’t have a car”; well, that’s fine, they still have a vote or a right to an opinion. 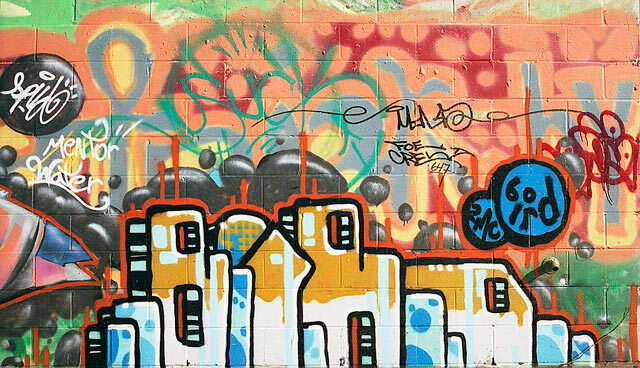 Photo by uwajedi from the Torontoist Flickr Pool. The TTC has been asked to provide $130 million of contingent cuts. We’ve been asked to make some cuts in the short run, and we are waiting to see what will happen with the taxes. We’ve said we have to begin work on [the cuts], because, for example, you can’t shut a subway down in a week, it would take months. We’re beginning that work. TTC staff are actively engaged on the action plan for how you would shut the Sheppard subway down, how you would reallocate buses. I hope we don’t get to that. And if the new taxes come in that won’t be necessary, but I’ll tell you: if the city has to trim $600 million worth of spending, it’s going to be really ugly. So we have to be prepared, but we’re also going to be out there starting in a couple weeks to talk directly to riders to build the case to protect the TTC. Ideally, if money isn’t an issue, within reason, you’d do a master plan for an area, you’d plan out how you were going to incorporate parks, transportation, and you’d build a subway so that, day one, when all these towers got built—or they don’t have to all be towers, you’ve got very dense neighbourhoods like St. Lawrence—the minute people moved in [to the area], they would never have to consider owning a car because they’d have high-quality transit service there. That’s if money wasn’t as much a concern. Within our constrained budgets, though, what is better planning is to go to established corridors where people are already using transit, improve the transit either by bus rapid transit, by light rapid transit like Transit City, or ultimately, if you had the money and or if the ridership was there, you’d build subways. That is the most efficient way of doing it if your dollars are limited. So, within that context, Sheppard would not have been the highest priority; if you’d gone back to when they started making decisions around that in 1995 and 1996, you’d probably have built the Eglinton line, because there was an established ridership there and the potential for growth. Having said that, we have Sheppard, and growth has gone up; in fairness, Sheppard has gone from ten to forty thousand riders [since it opened] five or six years [ago]. The fact of the matter is that the Sheppard line doesn’t carry as many people as any of the other subway lines. There are really two scenarios. Scenario A: the TTC expands our bus service to accommodate the ridership, because right now we don’t have enough buses or streetcars on the road; you see Transit City rolling out across the city—because the capital dollars are there from the province, but if you don’t have the operating dollars you shouldn’t build something you can’t afford to operate. Are the operating dollars supposed to be coming from the city? Pre-1997, the province contributed 50% of the operating subsidy to the city. Today they provide a fraction of that…[which] fluctuates every year. For example, this year they are providing $191 million—which isn’t bad—towards the operating cost, which is $1.1 billion, of which $800 million or so comes from the riders. So they’re doing okay….if you look at the operating subsidy required, it’s somewhere around $300 million, but of course the other issue is that [the province] used to provide 75% of the capital costs. The capital budget this year is $711 million, so you can image that 75% would be a lot a higher. All these things combined are to say that without the provincial contributions in the old way, there’s an incredible pressure on Toronto. Each ride that the TTC has, it actually costs a bit more money; sixty cents is required. One new person doesn’t cost you anything; ten million new people—which is the difference from last year’s ridership to this year’s ridership—means you should be adding new buses on certain routes to accommodate [them]…and that costs money. So scenario A has Transit City, has renovated stations, not that many—at this rate it would take us thirty-five years to do all our stations, so it’s not an excessive program—you see us continuing to improve service …. and it allows us to operate [the new subway line]. Scenario B is you see service declining—not just not being added, but being cut, which [is what happened in the] 90s; you see Transit City not being built; you see us not being able to renew our facilities, so that as they get older they just get shabbier and they’re not renewed. And really the two scenarios are starkly very different, and if the province isn’t going to come through, the city has to make some tough decisions. I think that people really want to see this sort of vision for transit, because it’s not just about moving people: the TTC is integrated in the economy, it affects people’s lives directly in the time they spend at home, it affects the environment—all these come together and it’s pretty important. So I hope that people, when they have the choice, vote and focus on having a positive option. And that will require them to pay through the land transfer tax and the vehicle registration tax. A lot of people won’t pay the land transfer tax for years: if they’re first-time homeowners they’re exempted, other people will pay only when they’re upgrading a house. Those are the real choices for Torontonians. Photo of Leslie Station by David Topping from the 69 Stations project. Well, there is clearly a role for the province to play in transit. At the same time, the city has an obligation—if we’re going to continue to ask for money—to take some responsibility for our financial situation. We are an efficient level of government: our spending has grown at a much slower rate than other levels of government. The problem is our tax revenue doesn’t grow at the same rate because it doesn’t grow with the economy. Property tax stays the same; a few new buildings are added, so we collect a little bit more, but the federal government’s revenue, provincial government’s, goes up between 5% and 8%. Our revenue grows at 1 to 2%. And that’s a problem; that’s less than inflation. So we need taxes that grow with the economy and we need to take responsibility for our financial situation and for the city that we want. That means that we have to take that responsibility, and we need these new taxes. You told the Star [after the council’s vote] that the news was “devastating.” Was it a surprise? I think it was a surprise for many people; it lost by one vote, there were a number of councillors who had changed their vote—people like Brian Ashton had voted in favour of the taxes at the executive, [but] had been supportive or, at least, not in opposition [before]. Votes like his were a big surprise. I know there are councillors who have reconsidered their votes; Councillor Augimeri is quoted in the Star as saying “I was niave. I thought the province would come through or at least the other party leaders would announce support”; that hasn’t happened. So people like herself have now suggested that [they] will vote for the taxes when they come back. And some people who voted to defer them said that if the problems were the same when they came back in October, they would vote for the taxes. I know the Mayor is very actively engaged in talking to people…and I feel confident that they will pass. Unfortunately it’s created a temporary hole, because we have to make up 70 or 80 million dollars, so that’s what some of the reductions are to deal with. We’ll have to do our best to manage through—but if the taxes don’t come in, it’s going to be a problem. We will have to make some decisions in September. Decisions on the table are cutting services, increasing fares…there are a lot of tough decisions. I think there may be further decisions made in September and/or decisions will be put off till after the vote, because really the scenarios are very different. Howard Moscoe held the chair position before you. Was the transition smooth? Well, I was the vice-chair, and Howard and I got along very well, continue to. I took a very active role starting, really, with the illegal strike: I was the acting chair that day. Howard was out of town for city business, actually, TTC business. I had been involved as a commissioner before, then as vice-chair, and then really working closely with Howard. So when I assumed chair on December 6, there was nothing brand new about it, and I had a very good understanding of the portfolio. Obviously I had a bigger leadership role to play. Issues were more immediate: if you’re a commissioner, it’s your obligation to understand the issues that you’re going to be voting on, but you don’t have to respond right away. For example, on the Lepofsky case around calling out of stops, within fifteen minutes of that legal decision being rendered we needed to know what the decision was, what the implications were, and then we began to have to offer an analysis of it. Now, I already knew the case inside out, I just had to be updated on the legal ruling, but that’s the sort of thing as a commissioner that I might have been able to put off for two weeks; you know, I’ll read it, I should read it, it’ll come up at the next TTC meeting, I know…but I don’t need to rush out and figure it out this moment. As chair, that’s an example of something I need to do, and if there’s decisions to be made in between commission meetings those are my responsibilities. If you put aside our financial situation and assume that we will get the new taxes and that we’re able to move forward, what I think you’ll see in the next four years, blending out into the next ten, would be the start of two to three light rail lines. There were seven lines in Transit City, [which is] a plan to really put transit first in the city. No matter where you lived in the 416, you would not be disadvantaged by not owning a car. So there were some decisions taken: people would say “well, I’m looking at the numbers, and why would you build Scarborough-Malvern?” Because if you’re looking at dollars invested versus ridership, it’s less than some of the other lines. But the important part around that one was that if you look at the [current] map, with the exclusion of Scarborough-Malvern, pretty much every community is represented across the city, so everybody has access to higher-order transit. The plan is actually to go through and have them all renovated eventually? I think we have to, for example, ask ourselves if we would protect some of the heritage stations. For example one of our problems is that it’s very hard to replace the tiles; they’re expensive. Maybe what you do is designate a certain number of them as heritage and spend the money to fix the tiles, something to keep them in a heritage state. But the majority of stations over a thirty-five year period would be renovated. Of course, some of the ones like on Sheppard won’t need to have them .. probably the last stations to be renewed will be Sheppard and Downsview, but by that time, of course, you’ll have to probably start thinking about starting over again, because it’ll be thirty-five years from now. We will, of course, have all-new streetcars by that time—we’re ordering them to replace our existing streetcars and [to serve as] our new streetcars [for Transit City]. We will have added dramatically to our bus routes and our ridership growth sees us adding and replacing the service that was cut in the 90s. It sees a maximum headway of twenty minutes, and I would see actually that coming down to fifteen minutes. Anywhere in Toronto, you would never wait more than fifteen minutes, even if you just missed the bus, except for things like accidents. I think you’ll see a TTC that’s increasingly representative of Toronto’s workforce, it’s a green system—we’re coming out with our green plan this fall that will map the next ten years and sees the renewal and greening of the TTC, fleet as well as buildings—and you begin to see a TTC that is more in tune with customer service, so that means [things like] a fare card probably in operation by 2017…[but] it’s not coming much before 2017. It would be like New York’s [MetroCard] system, basically? And if you look at that, with our whole fleet—new buses, new streetcars, new subway trains, fare card, Transit City, renovated facilities, [an] environmental lens put over it, and better customer service—that’s really the TTC that we’re pushing for. 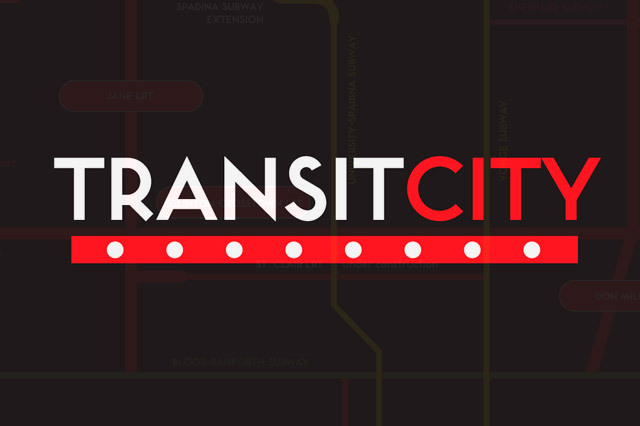 Click the graphic above to open the Transit City LRT map, created by Matt Blackett, from the Transit City website. Do you have any details about the green plan that you can talk about? Sure. The green plan will look for us to buy, ultimately, 100% of our power by renewable resources. Because we use about 60 megawatts, we’re the second-highest consumer of electricity in the city, so we will have to do that in steps to make sure that the[re’s an] availability of green power. We will be retrofitting buildings to make them more energy-efficient, to cut our consumption of power and the other utilities. Stations as well as [things like] the stockyards? Well, the stations aren’t heated or cooled….but, for example, the use of higher-energy-efficient lighting would be considered, we will also be looking at ways to put on things like green roofs, moving towards increasing our use of hybrids and biodiesel. All buses are on biodiesel, but it’s only 5% today, so we can probably increase that. There are issues there, but that’s what it’s looking to do. You’re going to be looking at, like I said, green roofs, and cool roofs; our new buildings will be built to high standards like LEEDs or other appropriately high building code standards consistent with the Toronto Development Plan. We actually have a good process for dealing with garbage—we have a 75% diversion rate right now—so we may be able to push that up. So we will build on that, and there are things I’m not mentioning that it’ll include as well. We’re looking to be a green leader in North America. You have all of this optimism…is there anything that particularly frustrates you about the city, the way that everything works? Well, from a transit perspective, what frustrates us is that we’re the least-funded transit system in North America or the western world per rider, and that’s saying a lot, especially [compared to] the United States. And that’s frustrating because we know what we could be, but the issues holding us back are a lack of provincial and federal involvement. They have come to the table, it’s getting better, [but] we [still] have a lot of work to do compared to other countries in the developed world. So that’s frustrating. City-wide, the frustration here at City Hall is that there’s sometimes a difficulty in moving forward quickly on things. Myself, I’m impatient on things. No—our budget is $1.1 billion, going up to 1.2, plus capital, and plus major capital—projects like the subway that are above and beyond our standard projects—probably bring it in around the $2.4 billion range. Advertising revenue is somewhere in the range of 15 to 20 million a year, right now, currently. Those numbers are consistent, pro-rata, with Ottawa, Montreal, New York, Chicago, so: could you make a little more money on a yearly basis by totally selling out on advertising? Maybe—you maybe get another five, ten million a year. But in the context of the TTC budget, that’s nothing, and there’s a huge debate around whether people are comfortable with that. 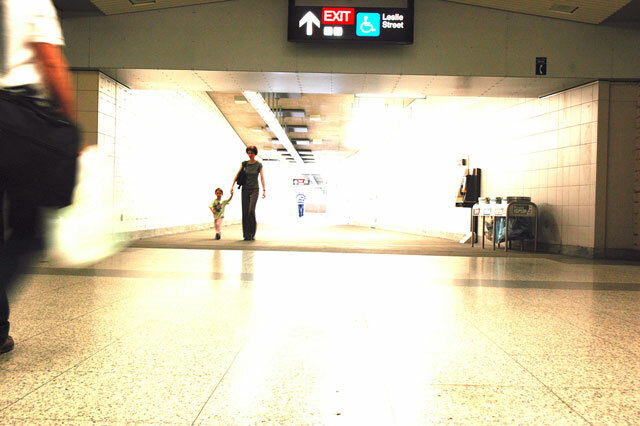 Photo by patricialeal from the Torontoist Flickr Pool. We also have rejected, again recently, any consideration of screens for advertising in subway cars, so those are some things we’ve said we’re just not prepared to do. Would it bring more money in? Absolutely. At some point, though, we could also rename stations “McDonalds,” “Rogers,” and whatever. We’re not prepared to do that. For the website, the plan is to launch it a little bit after the summer? We’re hoping, actually, to engage the blogs on another topic: there’s been a lot of discussion about what kind of stuff people would want to buy with TTC. Well, interestingly, the owner of Legacy Sportswear has shown interest. There’s actually new stuff up on his page, it’s…it’s better than it was, it’s not what it could be. I had a meeting with him and I asked him if he’d be willing to consider the input [of bloggers], and I explained to him the process we went through with the webpage, because I don’t think he was familiar, and I said, well, if we put this out there, and we came down with the top fifteen suggestions or something like that and narrowed it down, would he have a commitment to do that? And he said he would. Obviously, the Spacing buttons are a good example of something else that is really just a fantastic tie-in to the TTC…. Well you know these ones [Giambrone passes some Transit City buttons across the table] are done by Spacing too, done by [Spacing‘s Publisher and Creative Director] Matt Blackett. There’s a lot of interest in transit in this city. Well, I mean, again, it could; it will bring in some. New York City, which has been cited as a fairly decent brand, makes between $50,000 and 100,000 in a year. Now, what they get is a royalty—I’m sure the actual dollars might be much higher than that; if you buy a twenty dollar shirt, they might only get a dollar of the revenue for it. So we make a lot less, but I think it responds to a demand that is out there that is an important demand, because transit advocates [want it]. And also, it’s not that we’re losing money on it; we will make more money. It’s just not the panacea for our problems. But if we’re going to make some new money, we make people happy, and, specifically, we make transit advocates happy, then it’s a good thing.